The purpose of this five-day International Disability Summer School is to equip participants with the insights and skills necessary to translate the generalities of the UN Convention on the Rights of Persons with Disabilities into tangible reform for persons with disabilities. The core focus of this year will be on Human Rights and Disability-Inclusive Development. This is an important year for global development, as governments will agree a new vision for development in September at the United Nations. This new vision must be inclusive of and respect the rights of persons with disabilities if future poverty reduction efforts are to succeed. The Academy of European Law (ERA) is a non-profit public foundation that provides training in European law to legal practitioners. Its patrons include most EU member states and it is supported by the EU. ERA organises conferences and seminars around Europe, offers an online training programme which includes a broad range of courses and e-presentations and publishes a legal journal ERA Forum. The purpose of this course is to provide a thorough introduction to practical aspects of European criminal justice. This one-week intensive course on law, development and human rights offers participants an opportunity to acquire specialist-level knowledge in the field of human rights and development. 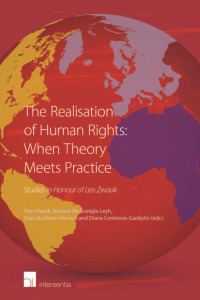 It offers critical examinations of the conceptual and practical role of the international human rights law frame work in development. The conference will provide practitioners with a comprehensive update on recent developments in European data protection law. It will give you the opportunity to engage with top legal experts on the most pressing issues regarding personal data processing. 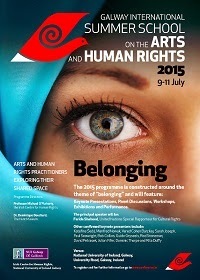 The first Galway International Summer School on the Arts and Human Rights will take place from 9 - 11 July 2015 at the National University of Ireland, Galway. Co-directed by Prof. Michael O’Flaherty, Director of the Irish Centre for Human Rights and Dominique Bouchard, Curator at the Hunt Museum, it will bring together arts practitioners with human rights activists and scholars to explore their shared space. Events will take the form of panel discussions, exhibitions and performances. The global theme for 2015 will be 'Belonging'. The Summer School will consist of keynote addresses, plenary discussions, and themed discussions on three parallel tracks – literature and human rights; the visual arts and human rights; and music and human rights. The opening speaker will be the United Nations Special Rapporteur for Cultural Rights, Farida Shaheed. For further information, visit the Arts and Human Rights Summer School website. for a six-month unpaid internship. The European Inter-University Centre for Human Rights and Democratisation (EIUC) organises an innovative training seminar focusing on 'Dublin III, two years on. Asylum seekers and refugees in the EU and beyond'. The training seminar aims at providing participants with tools for better understanding and use of the Dublin III regulation and of the other relevant international and European legal instruments governing this highly sensitive policy area. The Human Rights Integration network will organize an international conference to explore the foundations and implications of human rights fragmentation and integration. Interested participants are invited to submit their paper by 15 May 2015.
International migration is one of the most important social issues of our time. People move across border for work, studies, love, as well as in order to flee poverty, persecution and violence. We will address international migration from the perspective of international and European law, and focus on the way these legal orders function in domestic legal orders. 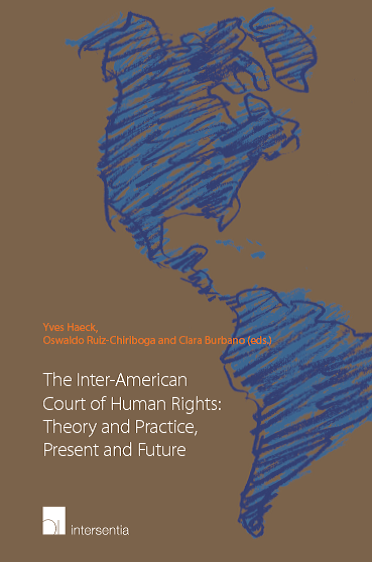 The interplay between international, European and domestic law is a specific focus of the track. • When are migrants entitled to asylum? • Under which circumstances do families have the right to reside in a country of their preference? • What is the role of the European Union in managing migration within the EU as well as towards Europe? • Can undocumented migrants claim social rights? The programme is in English, starts on 1 September 2015 and lasts one year (full-time). All information can be found here. The University of Bergen (UiB) is an internationally recognised research university with more than 14.000 students and close to 3500 employees at six faculties. The university is located in the heart of Bergen. Our main contribution to society is excellent basic research and education across a wide range of disciplines. The Centre for Women's and Gender Research (SKOK) has a vacancy for two four-year PhD fellowships in interdisciplinary gender research. Hostile environment awareness plays an important role in the effectiveness and impact of crisis management missions; it is also a chief responsibility that each seconding or contracting actor has vis-à-vis its deployed personnel ('duty of care'), so as to further address the issue of their protection while operating in high risk operational theatres. Hostile environment awareness is essential to coping with internal and external security threats on the ground and is conducive to: a) enhancing the resilience of personnel when working in hazardous environments; b) increasing the understanding of proactive security and of basic field measures; c) providing personnel with the basic tools and techniques needed to avoid potentially dangerous situations or to cope adequately with actual endangering ones in the field. This Hostile Environment Awareness Training (HEAT) has been designed and developed jointly by the Scuola Superiore Sant’Anna and the Carabinieri Corps General Headquarters, precisely with the aim to address such needs. Sutyajnik organizes its 5th Ural International Human Rights School in Yekaterinburg from 13 - 18 April 2015 as a set of events including a conference, seminars, master classes, work in small groups and a model court. If you or your organisation are involved in the reform of the penitentiary system, teach law, advocate incarcerated persons, take part in the public monitoring of places of detention – this event is for you.